Cobalt blue is one of my favorite colours of sea glass – and it happens to be hot for weddings too! This handmade cobalt blue sea glass jewelry is in my Etsy shop. 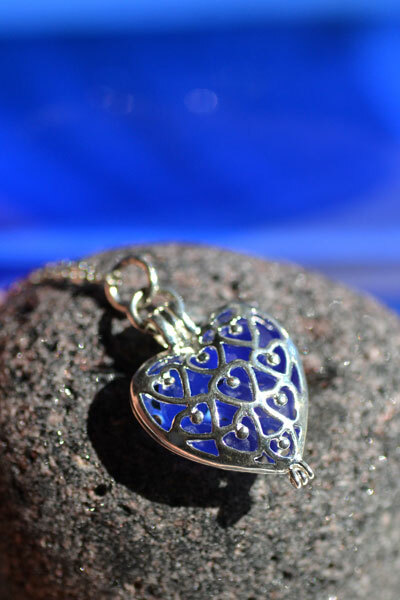 This filigree heart locket filled with cobalt blue sea glass is stunning. A perfect bridesmaid gift! Need more than one? Drop me a line! 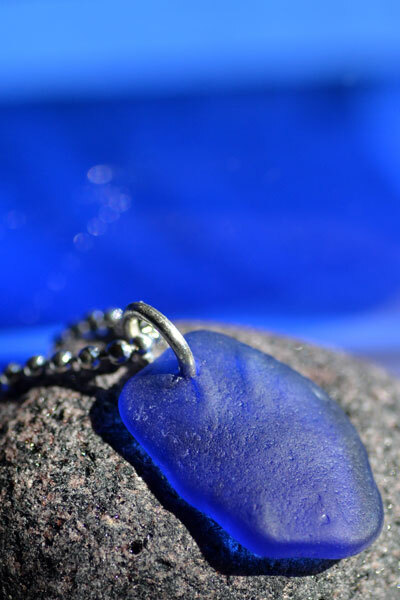 This cobalt blue pendant glows when it hits the light. 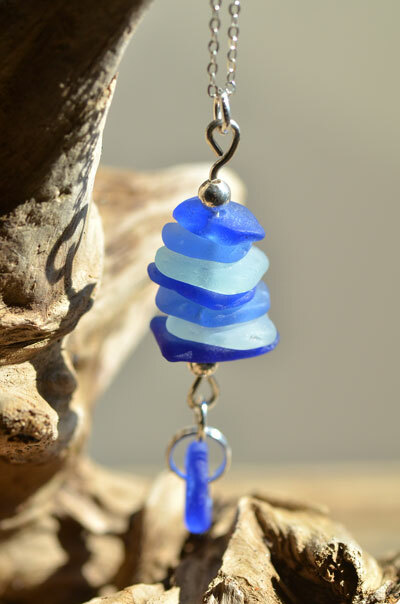 This stacked cobalt blue sea glass pendant is made with sterling silver findings and comes with a sterling silver chain. 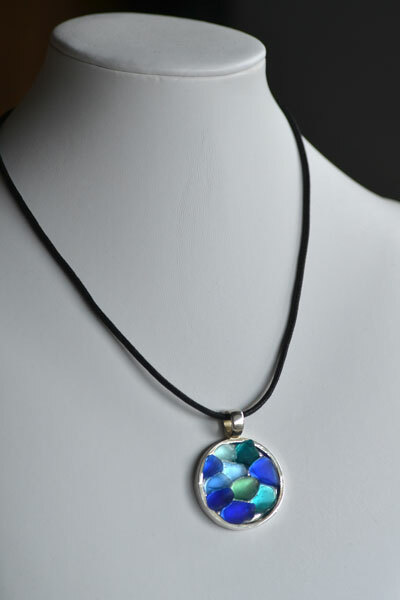 This cobalt blue sea glass mosaic pendant is truly one-of-a-kind.